The fastest cars ever built collide with a new rival and new milestones. Criterion has announced that Need for Speed: Most Wanted, it’s commercially and critically acclaimed racer, will be receiving its first DLC pack in the form of the “Ultimate Speed Pack”. 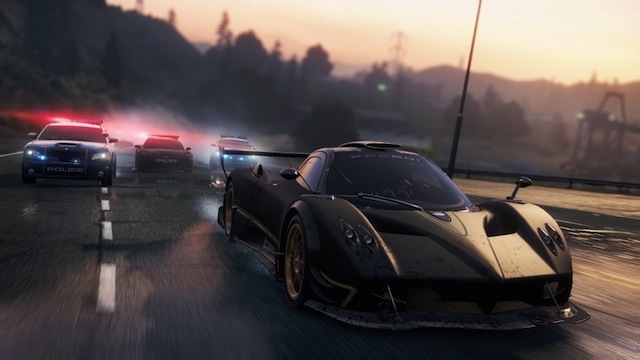 The pack includes presumably the fastest five cars ever built – the Pagani Zonda R, McLaren F1LM, Lamborghini Aventador J and Bugatti Veyron Grand Sport Vitesse – and implements 25 new events for pushing these cars to zones unknown. Of course, it wouldn’t be a whole new speed chase without a new rival who is piloting the fastest vehicle out there, the Hennessey Venom GT Spyder, and isn’t going down without a fight. The additions don’t stop there, as multiplayer contains more than 70 all-new speed-themed milestones for earning Speed Points and unlocking rewards. You can look for the Ultimate Speed Pack to release on December 18th for Xbox Live Marketplace at 800 Microsoft Points, on PlayStation Network for £7.99 and and for PC via EA’s Origin platform for £7.99.